were discovered in 1774 by German astronomer Johann Elbert Bode. At 12,000,000 light-years, they are among the more distant Messier objects. 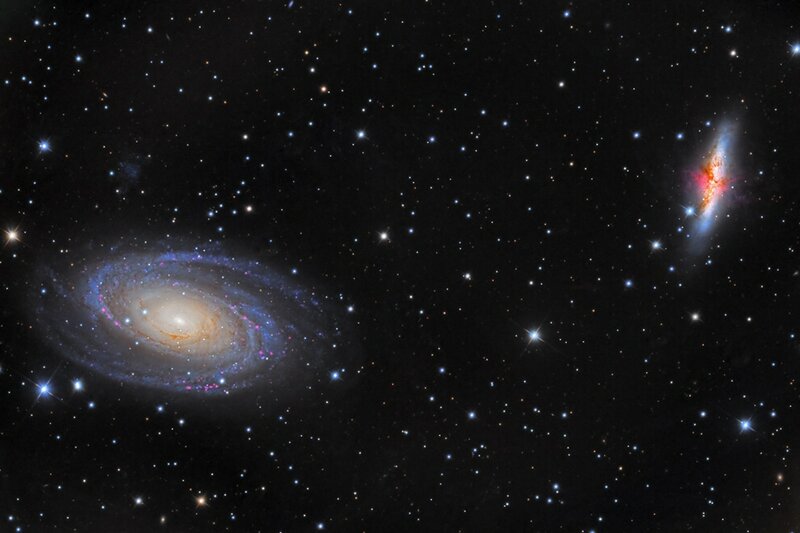 A classic Sb spiral, M81 at left is one of the most beautiful galaxies in the heavens. Tiny bluish Holmberg IX, an irregular dwarf galaxy appears at 11 o'clock above M81. At right is the spectacular, starburst galaxy M82, commonly known as the Cigar.